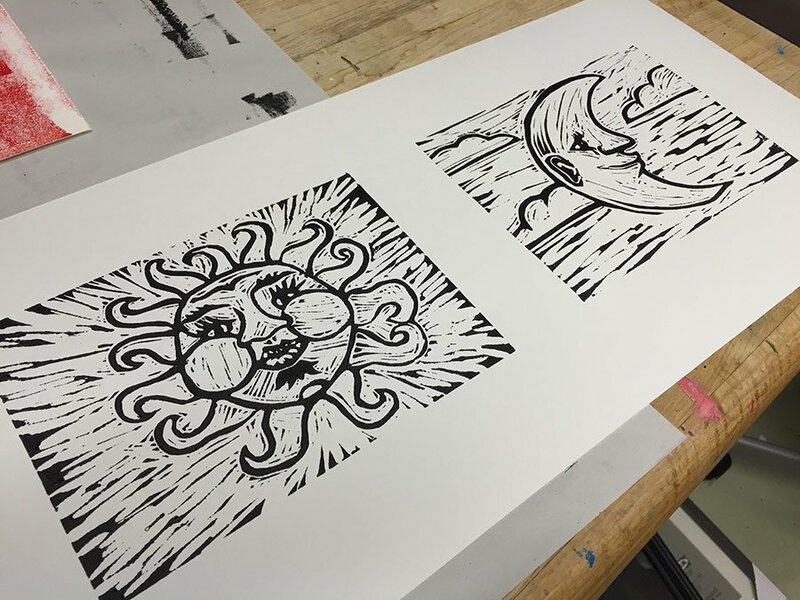 12″ x 20″ block print on cold press. ©Brian M. White 2016-2017. 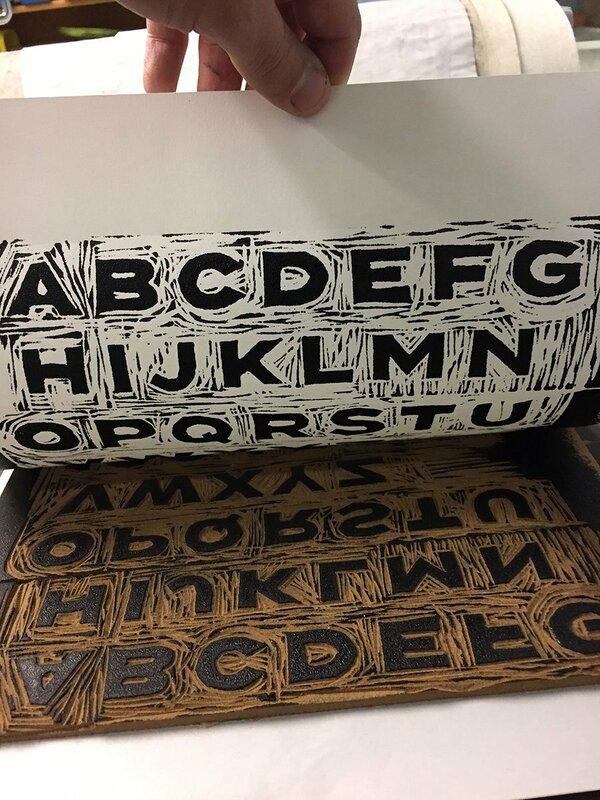 Blockprint font is a labor of love. 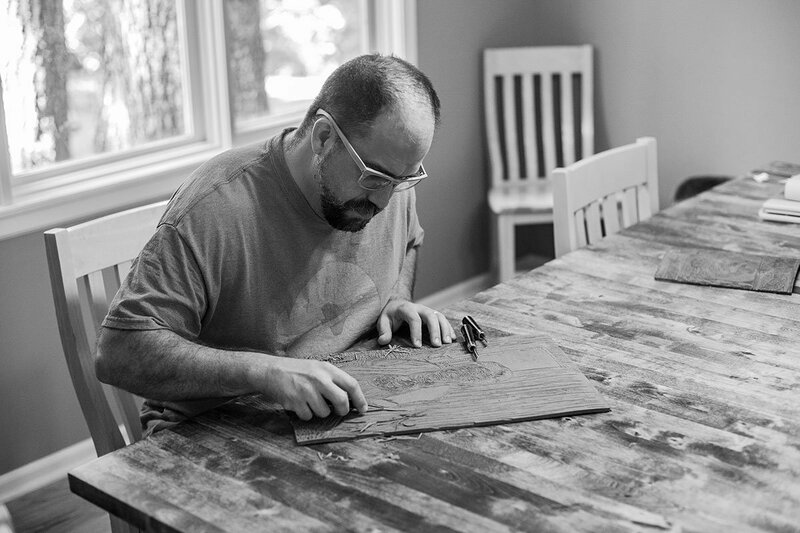 The letters were all cut out by hand using knives out of linoleum, inked, printed, scanned, digitized, kerned and set. Font now available for sale on Creative Market! Each font includes all 26 unique block print textures to use and add to your designs and add realism and depth. All glyphs were originally created by hand. BONUS: 83 Custom Photoshop and Illustrator Brushes included to make add woodblock print cuts easily to your designs! All glyphs were originally created by hand. 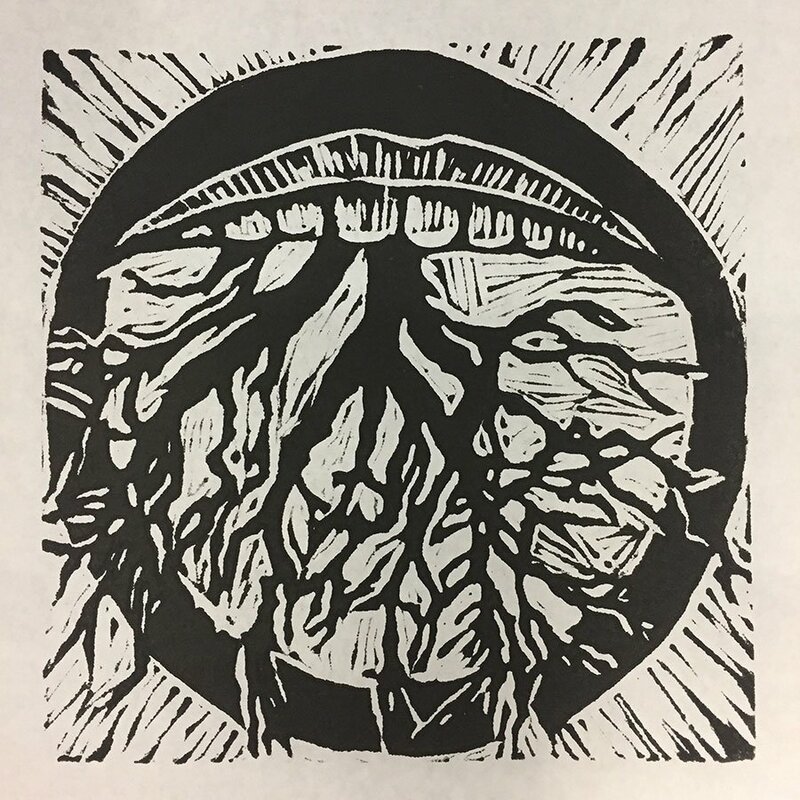 12″ x 12″ block print on cold press. ©Brian M. White 2017. I don’t like to speak about this piece, but it’s important and I wanted to run a set of these. In all things guard your hearts and minds. Limited edition of 100. 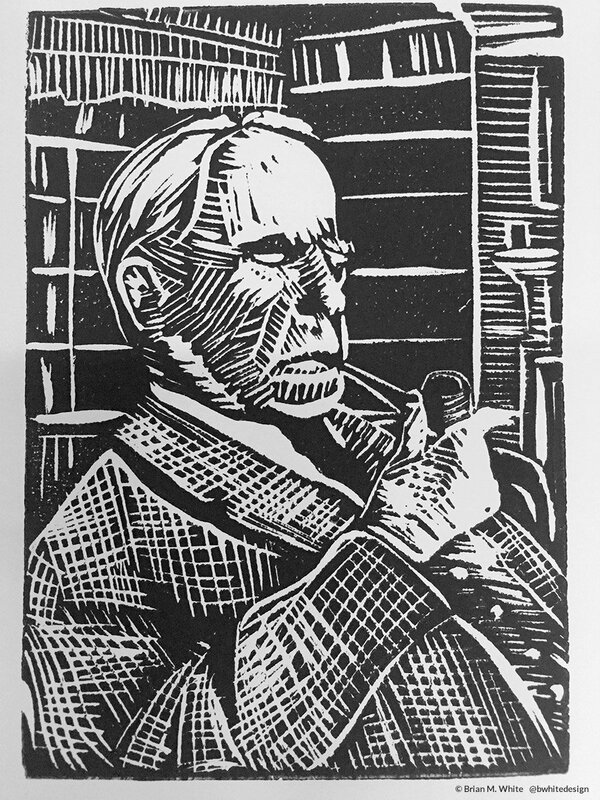 5″ x 7″ block print on cold press. ©Brian M. White 2017. I watched the Lord of the Rings again with my daughter and wanted to capture this pinicle moment in the film. I read the books as a kid and literally cried out and yelled when I read this part of the book. Such a strong a powerful moment showing human nature and your will. 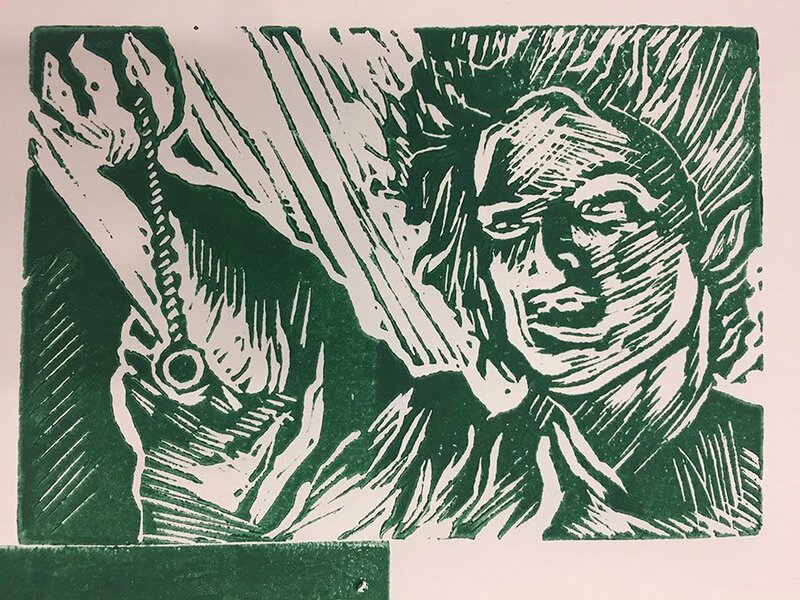 Limited edition of 100 run in lightfast blockprint green ink. Special request can be made to run it in blockprint flat black ink. The author and all around interesting guy. 8″ x 10″ block print on cold press. ©Brian M. White 2017. 5″ x 7″ block print on cold press. ©Brian M. White 2016. Based off the incredible story of Elijah challenging the followers of Baal to see who’s God would answer them. 15″ x 24″ block print on cold press. ©Brian M. White 2016. For 40 days of Psalms 2 Book available on amazon. 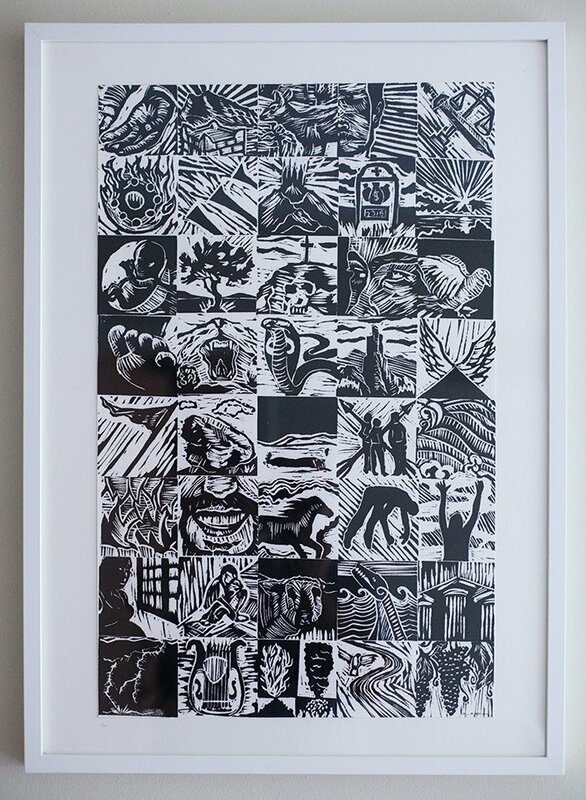 A series of prints done during Lent 2016. In the church calendar Lent is a time before Easter for preparing your hearts for the day. 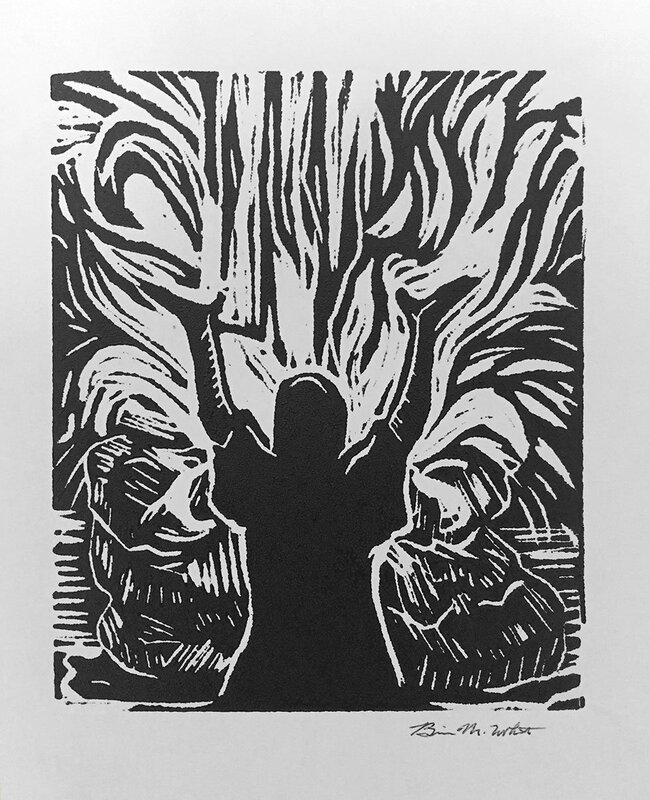 Each day for 40 days I read a Psalm, drew out my interpretation of it, cut it out of linoleum, and block printed it. The process was intense and hard to follow each day. As I did more and more of the pieces I realized I wanted to see them together. I was able to fasten the whole group together and run a few prints. 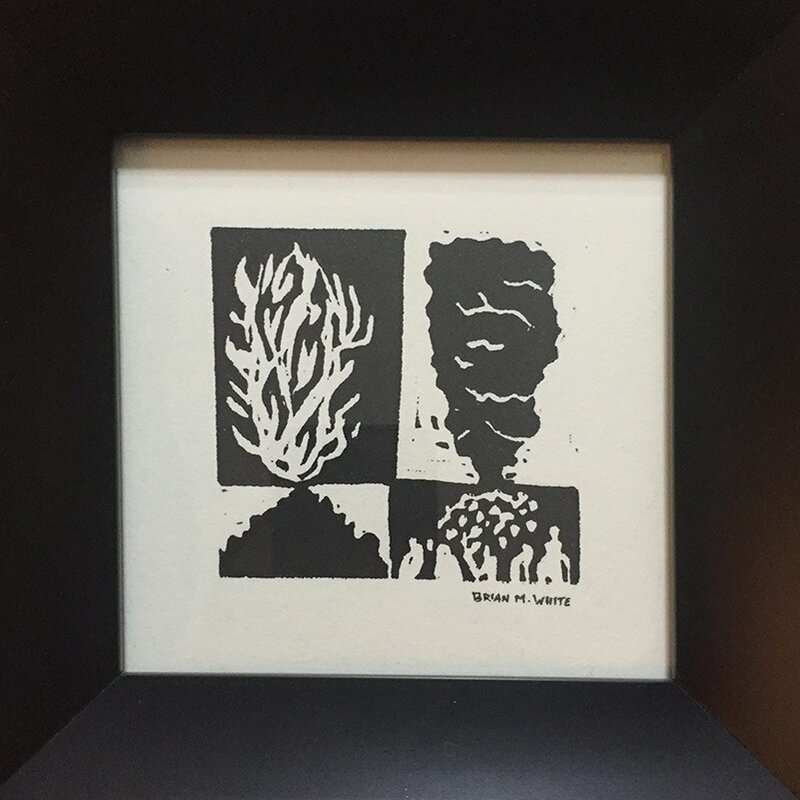 3″ x 3″ block print on cold press. ©2016 Brian M. White. 5″ inch frame. For 40 days of Psalms 2 Book available on amazon. 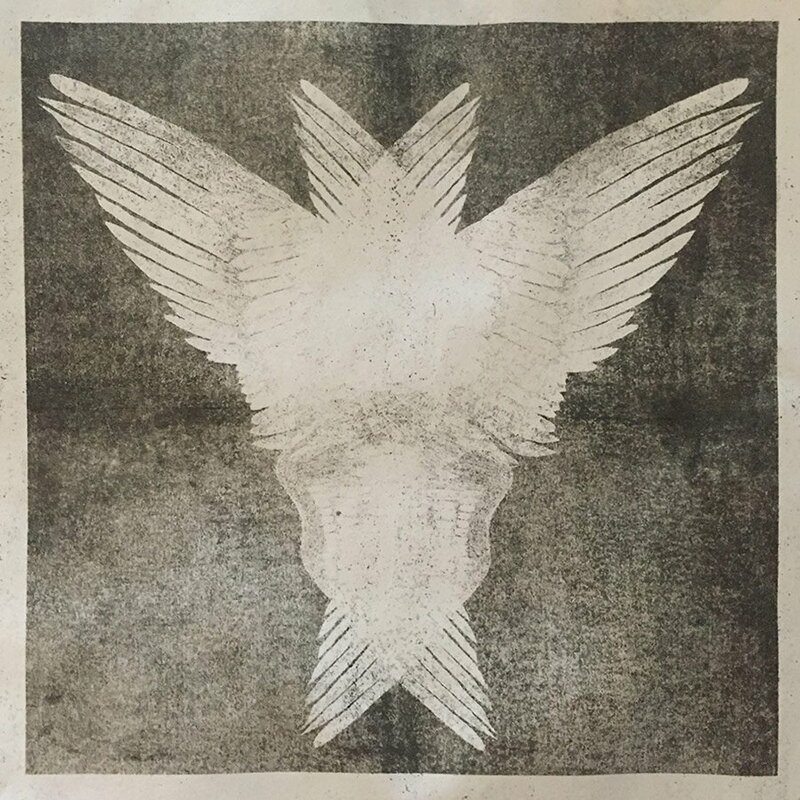 10″ x 10″ Oil print on paper. ©2016 Brian M. White. 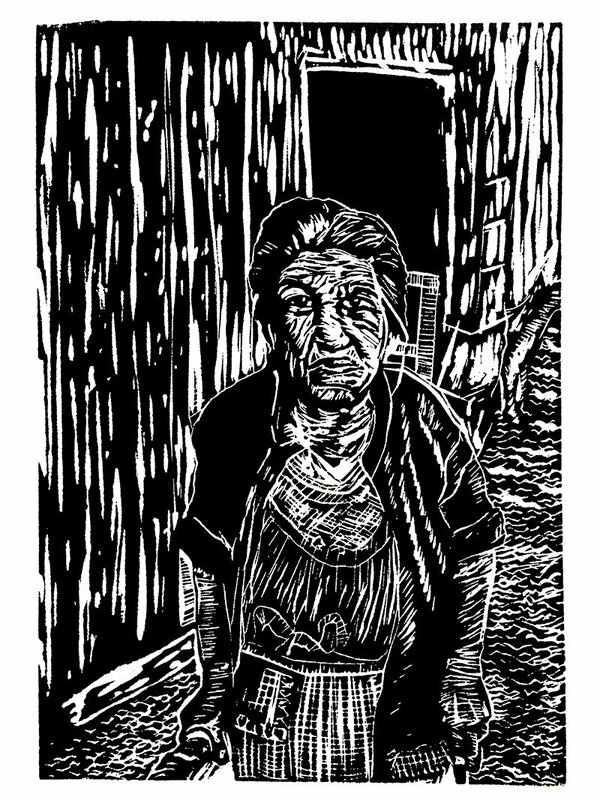 16″ x 20″ blockprint on coldpress. ©2013 Brian M. White. 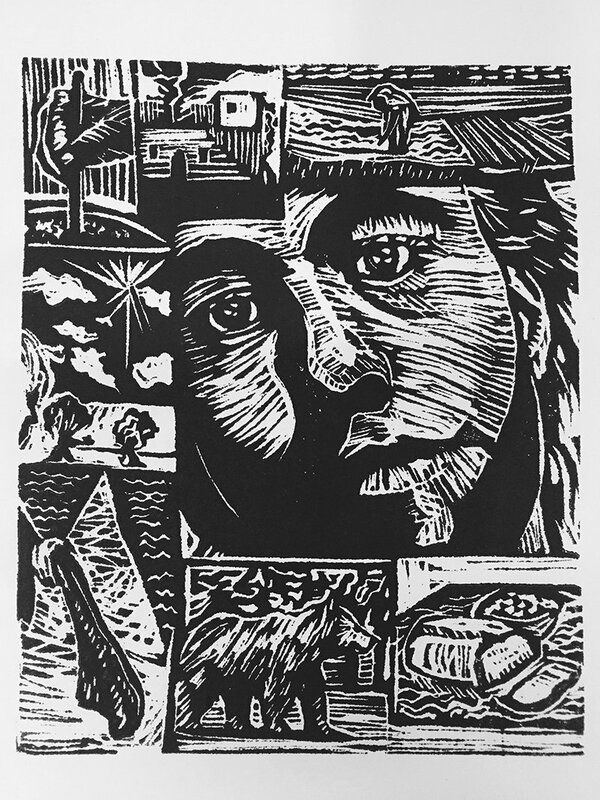 18″ x 6″ blockprint on coldpress. ©2016 Brian M. White. Some works are available for sale. Please email me for availability and pricing. I am now accepting block print and oil on paper commissions as well.